Why not take the shot? Why not attack the full length of the court? Why not crash the boards and steal every ball and rain assists like water? The Jordan 'Why Not?' 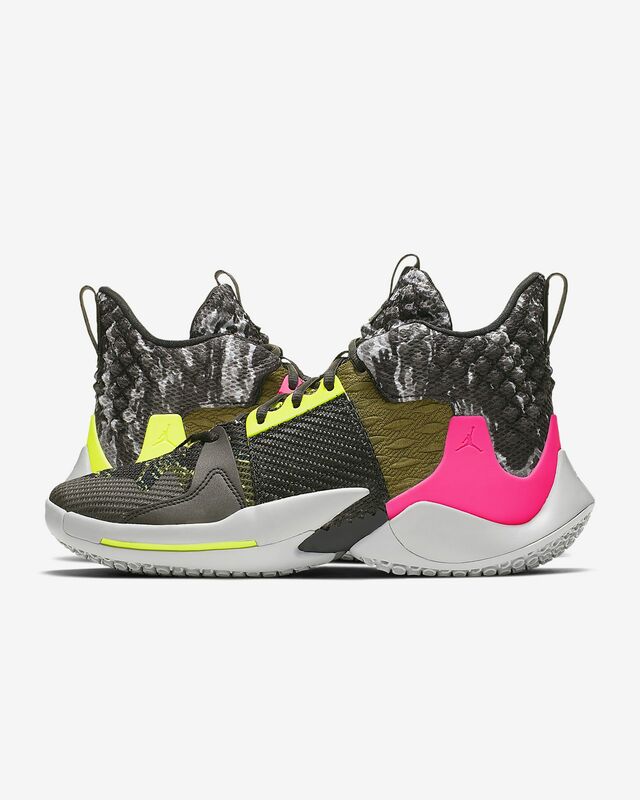 Zer0.2 Men's Basketball Shoe celebrates Russell Westbrook's calculated chaos by combining materials that work in perfect harmony—because, well, why not? Why not take the shot? Why not attack the full length of the court? Why not crash the boards and steal every ball and rain assists like water? 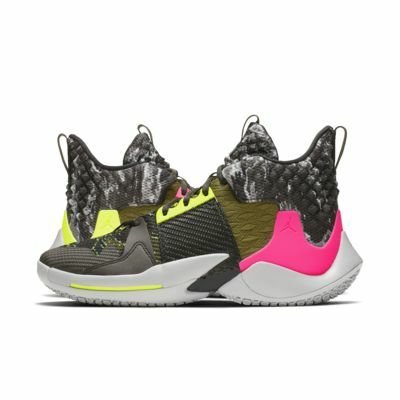 The Jordan &apos;Why Not?&apos; Zer0.2 Men&apos;s Basketball Shoe celebrates Russell Westbrook&apos;s calculated chaos by combining materials that work in perfect harmony—because, well, why not? Rubber outsole with an aggressive traction pattern gives you optimal grip for the court. I love the color scheme, and they're so comfortable I'm even debating on using them for my clinical instead of basketball. Materials are durable. Shoe offers nice cushion system and court feel. Grip is one of the best if not the best. Adequate ankle support (NOT as much as the Why Not 0.1) but can wear ankle brace without any difficult (I recently suffered a grade 2 ankle sprain). The shoe looks bulky but it doesnt affect performance.